David Krut Projects is pleased to present This is my proper ground, Paris-based artist Kate McCrickard’s second exhibition at the gallery. The title comes from the poem Places, Loved Ones, written by Philip Larkin in 1954, where the poet asserts his rootlessness in stating “No I have never found / The place where I could say / This is my proper ground.” McCrickard takes the artistic sense of the word “ground” to express a conviction in observational drawing and figuration, two important elements of her practice. The resulting exhibition is an installation of selected sketches and recent paintings on cardboard and canvas. McCrickard uses a sketchbook rather than a camera to record snapshots of daily life, but it is formal intrigue that drives her: the challenges of drawing movement and a range of scales; the speed of mark making. This, and seeing the bizarre in the quotidian, make each passing page come to life. Her oil paintings offer an alternate approach to mark making, sometimes defined by a preference for working with tatty old brushes onto cast off pieces of cardboard. 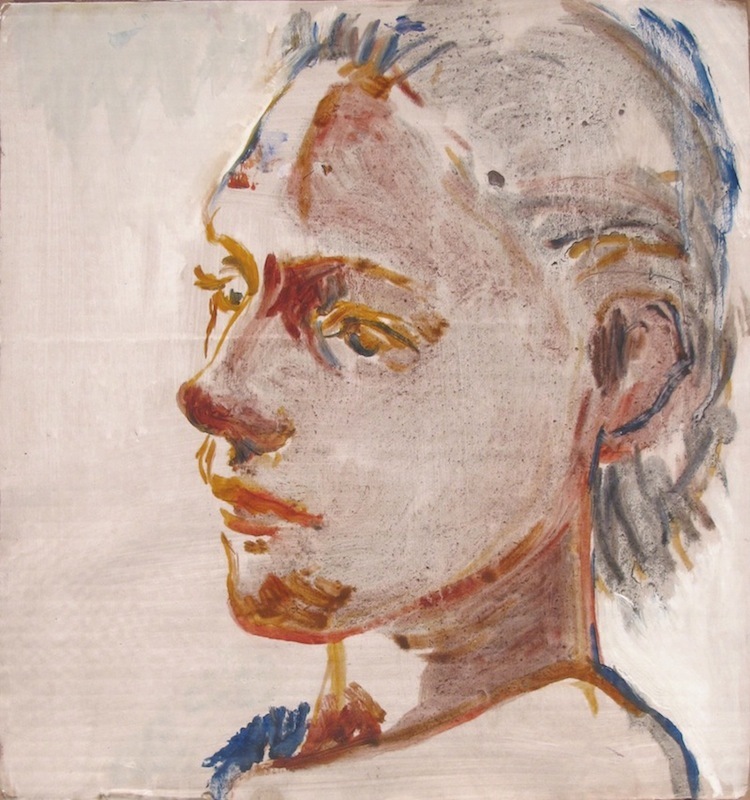 She claims she “can spend hours working on a painting with disappointing results, only to find that a five minute sketch painted on a scrap of cardboard is more successful.” While there is no firm procedural method to McCrickard’s practice, the fresh unmediated gestures of initial underdrawing suggest the vividness of the lived sensations from which her pictures are sourced. This compilation of sketch book pages and quickly executed paintings creates an animated environment that weaves together a series of fugitive moments into an intimate glimpse of a studio-based artist’s life, firmly grounded in drawing. McCrickard is a British artist and writer based in Paris, France. She graduated from the University of Edinburgh, Scotland in 1998 where she received her MA Honors Degree in Fine Art. Her work is included in the collections of The Royal Scottish Academy in Edinburgh and The British Museum in London. In March, 2013, David Krut Projects, New York presented, Kid, McCrickard’s first solo show in the USA. This exhibition forms part of a five month series of exhibitions by British contemporary artists, presented by David Krut Projects, NY, working in collaboration with Jessica Carlisle, a freelance curator and gallerist based in London, UK. The series opened with Piers Secunda (February) and coming up are exhibitions by Vera Boele-Keimer (April), Hester Finch and William Stein (May). The gallery would like to extend a special thanks to Dasha Shishkin for her help in curating McCrickard’s show.